The world is changing quickly and it’s not changing linearly, but exponentially, due to technological advances. We are trained to think linearly. But our world is changing at a much faster rate now than ever before. 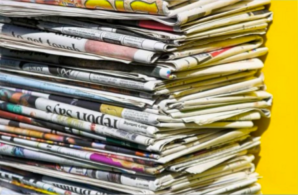 In a single day, we take in an estimated 174 newspapers worth of information! That is an increase of over 200% from 30 years ago when it was approximately only 40 newspapers worth of data per day. Technology has certainly made it easier to communicate globally but there is a lot of noise out there, something that is essential for companies to understand in order to get through to their customers. We’ve also made a change from the Age of Information to the Age of Transformation and that entails an evolution in the way we do things. This change has happened so fast that most people are not even aware we are in a new era and that’s due to the rapidly changing technological advances and the change in mindset humanity is experiencing. In the last decade, there have been more than one billion new users online and more than four billion new people using cell phones. There are huge technological advancements as products get smarter, faster, and cheaper to produce, making them much more accessible for everyone. We need to adapt quickly. The internet is revolutionizing the way we do business. We are connected globally and 24/7. This means we have access to customers at all times and we can work from anywhere at any time. Technological advances have always driven disruptive change in the workplace. In the 19th century, the Industrial Age moved workers from an agricultural to a production model. 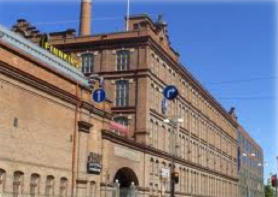 In the 20th century, we experienced another revolution as the Information Age moved workers from factories into offices. In the 21st century, we are in the midst of a virtual Transformation Age where the internet and technology are redefining our workplace yet again. Work is becoming much more collaborative as communication makes it easy to stay connected. People need to take their education into their own hands and make sure they stay relevant in the changing market place. They are beginning to understand that they are in control of their own future and must manage their own careers based on what they are passionate and naturally talented so that they can easily succeed. Employers need to understand the changing trends so that they can become more flexible to meet the requirements of the talent they need to retain in order to succeed. They need to manage workers living all over the world. They need to understand the value of life-work integration and offer flexible options that allow workers to produce the required results. And they need to be very clear on a bigger purpose as to why they are in business. They must take actions to transform their employees and their customers into their Raving Fans by creating a deeper and more purposeful relationship with them. Understanding this huge shift…this major time of change, and knowing how to navigate during this time, will make the difference in extinction, survival, or thriving for companies.